moreshwara baa tu ghaal poti… GANPATI BAPPA MORYA……. With this popular song which resonates in the heart of every child right from the time it is born; irrespective of any religion begins the 10 days’ fun-filled Festival of our very own Maharashtra! 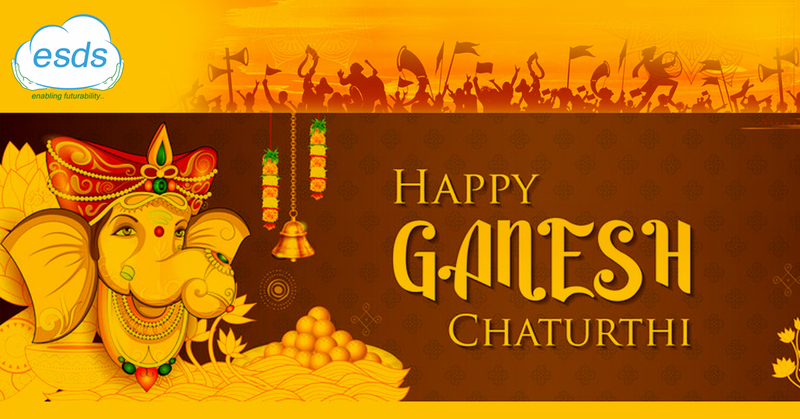 – the Ganesh Mahotsav. Preparations for arrival of Bappa begin 30 days in advance. Every house, society, colony, Mandals, corporate offices, big organizations eagerly waits for the arrival of ‘Gajanana.’ ‘Bappa’ as we fondly call him is favorite of every person from babies till oldies. The preparation of ‘Bappa’s’ arrival begin right from cleaning our homes, booking of Ganesh Idols, preparing yummy delicacies, planning events that should be held during those 10 days etc., Everyone who brings Ganesha to their homes or offices are involved in a whirlwind of activities. I would like to describe ‘Lambodara’ as, Chubby Cheeks, Cute wide Hearted, one who is fond of Modak and loves his ‘Akhuratha.’ The Elephant-Headed Bappa, is the remover of obstacles and Bestower of knowledge. It was the year 2012 where I had my first experience of celebrating the Ganpati Utsav with ESDS. We as ESDSian’s celebrate the 10 days’ festival with full joys and fun-filled positive energy. 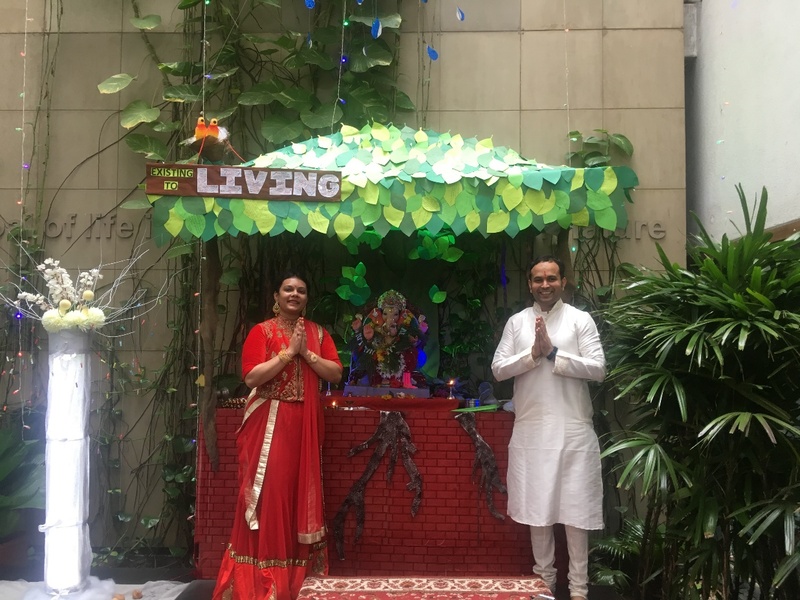 ESDS begins the preparation of Gajanan’s Arrival by forming its ‘Cultural Committee.’ Our very own HR team sends an email to staff, stating active participation from the employees. Every year, they give chance to the newbies to showcase their creativity, ideas and talent for the 10 days’ festivity. ESDS in all its principles does everything in-house, and is never dependent on third parties right from business motives to planning and decorating any event. 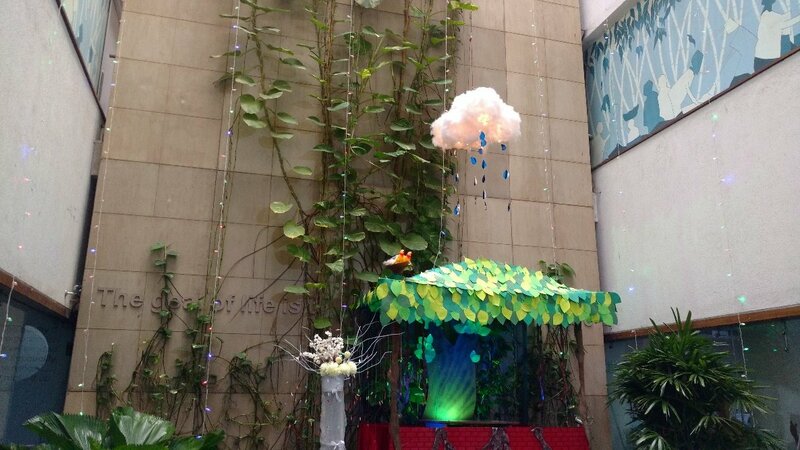 As seen below, ESDSian’s creative approach to design the Pandal where secret messages were posted on Bappa’s shelter and Bappa is seen showing love towards our own Cloud Technology. Beautiful female employees of ESDS makes Rangoli and Flower Garlands near the entrance of Ganpati House. Each team within ESDS is allotted a responsibility for Aarti, where they have to arrange, Prasad and Aati Samagri for that day. This showcase the quality of Working as a Team and increases their bonding. What other ESDSian’s get to taste is yummy Prasad like, Ukadiche Modak which is Bappa’ s Favorite, different kinds of Methai, Halwa, some teams even bring Samosa. They say, why to increase Sugar-level of Bappa, he should have some Namkeen as well. It is all the devotion of the employees. Every day we have 01 activity to keep the atmosphere lively for Bappa. ESDS imbibes true meaning of Synergy through this 10 days’ activity. 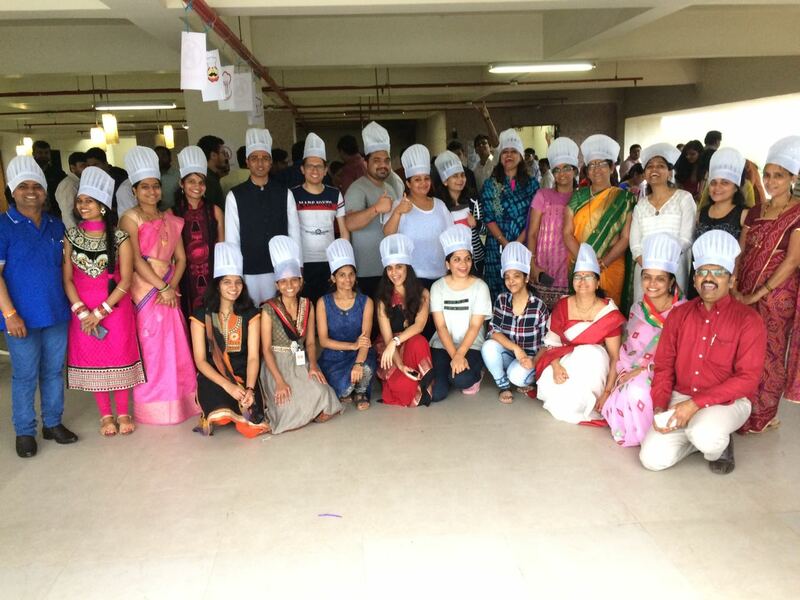 The picture taken was of the MasterChef competition where Healthy, Yummy and some unique snacks were cooked by the participants. 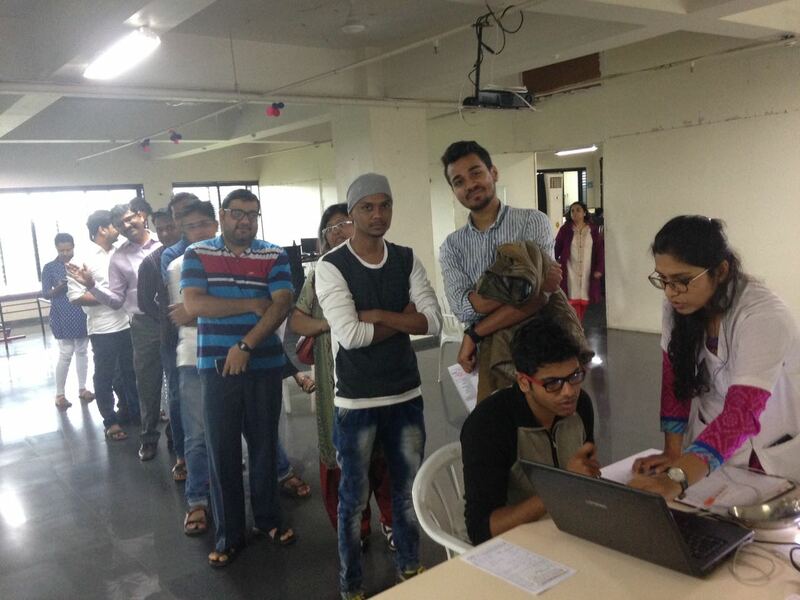 ESDS even arrange for a Health Check-Up camp for its employees. Not only towards work, but we’re responsible towards our society as well. 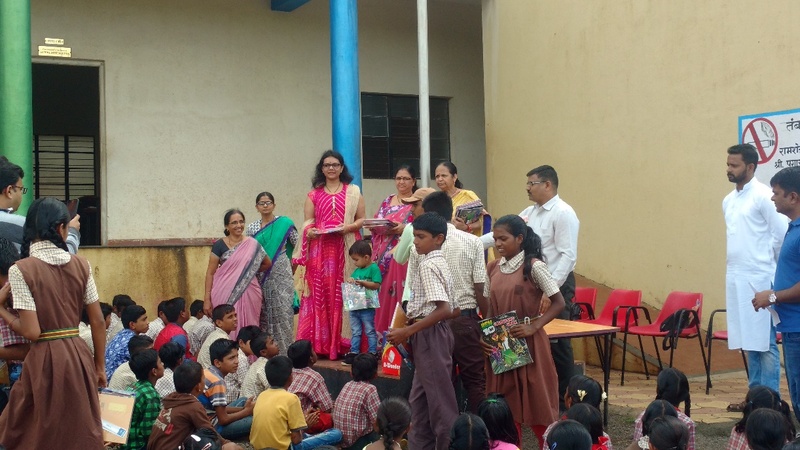 It is not always take from society; we also like to give back to society through our CSR activities and initiatives. 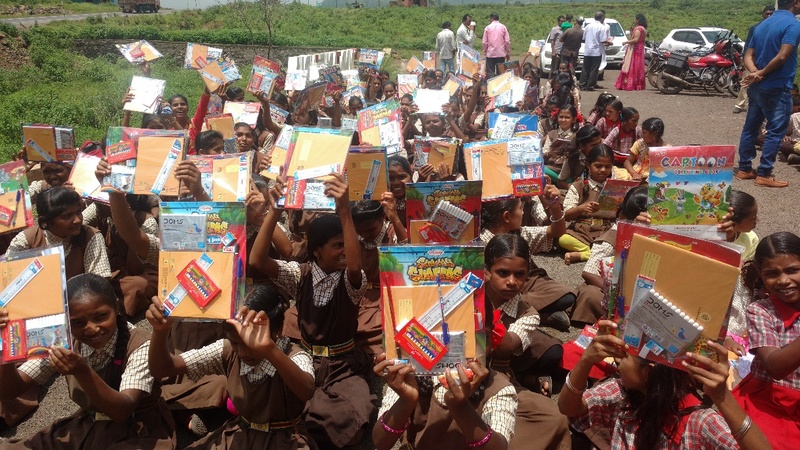 Books and stationary are distributed to the rural students. 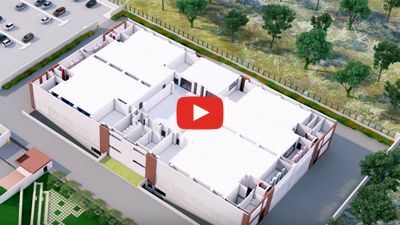 ESDS has adopted ‘Ramshej’ village and has beautifully developed the village. Every child from that village goes to school, we as ESDSian’s believe, for better tomorrow we need to invest Best education in children. 10 days just fly by, we feel it was yesterday that Bappa came at our place and today is the time to bid him adieu but only with a promise to be back a little early next year. The farewell of Bappa though very teary leaves a hope of his early return next year. The place where he resided for the last 10 days suddenly becomes empty and we just keep looking at that place and wonder ”How Time just Flies By?”. 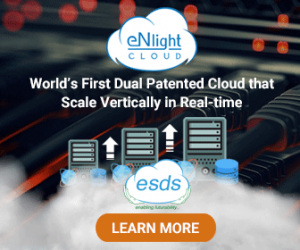 Compliance Project Manager at ESDS Software Solutions Pvt. Ltd.
Neha is a versatile, creative and focused Compliance Manager at ESDS. She is responsible for company audits. In her free time she likes to write. She believes in excelling in whatever task she picks up. 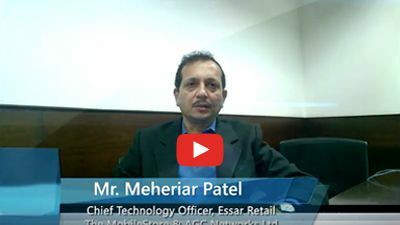 About ESDS – Directly from CEO’s Desk!